Ranked at number 7 in the world in the 2010 DJ Mag Top 100 Poll (up from number 23 in 2008 and number 9 in 2009) and tipped by both Paul van Dyk and Ferry Corsten as a future star, Gareth Emery is well on his way to becoming a fully paid up member of the global DJ elite. His podcast (The Gareth Emery Podcast) has fans all around the world and is regarded as one of the most consistent and exciting podcasts around. 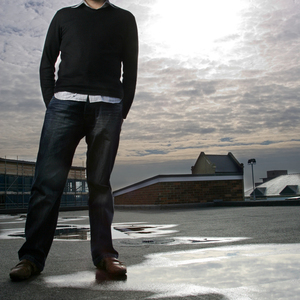 In 2009, Gareth Emery launched his own label - Garuda and has released tracks such as Exposure, Metropolis etc. Gareth Emery also delivers with his unique remixes. The highlight so far being the remix of Oceanlab's Lonely Girl featured in the Oceanlab Remixed album (June 09). ?Boring DJs be very afraid: Gareth Emery is about to kick your arse?. So said Mixmag, when in 2002, they took the bold step of predicting that a virtually unknown 22 year-old would rise to become a major dance music star. However, six years later, it's likely that even their expectations have been well surpassed. His current tour diary reads like the departure board at London's Heathrow Airport. Desert island raves in Indonesia and snow-drenched mountains in Vancouver sit alongside major global events like San Francisco's iconic Love Fest and Holland's 30,000 strong Trance Energy. The likes of Asian superclub Zouk and Bondi Beach in Sydney complete the picture: in short, you'll find Gareth at a mouth-watering, hand-picked selection of the planet's coolest clubs and events, including UK super brands like Ministry of Sound and Gatecrasher. When not on tour, he's kept rakishly busy in his Cambridgeshire studio as one of the scene's most in-demand producers and remixes. If you're not familiar with anthems like ?More Than Anything', ?Formentera What' or his seminal classic ?Mistral', you're probably a little out of touch with the modern dance scene, but suffice to say that Tiesto, Oakenfold, Ferry Corsten and Judge Jules are all big fans, and Paul van Dyk and Armin van Buuren liked his work so much that they both commissioned him to work on their respective labels (Vandit / Armind). However, the majority of his music is still released on his Five AM imprint, (described by DJ Mag as ?the most consistent trance label in the world'), where he's a co-owner and A&R. Whatever the label, one thing that's clear is that Gareth Emery stamps his hallmark of quality on a record, people listen. Always ahead of the game, Gareth was the one of the first leading DJs to embrace podcasting when he started his fortnightly radio show The Gareth Emery Podcast in early 2006. The show become an overnight success, immediately becoming an essential download for savvy dance music fans, and its widely imitated format has since helped to explode the popularity of dance music podcasts. It was also nominated for a Miami WMC IDMA Award for ?Best Podcast' along with Roger Sanchez and Pete Tong in 2007. But ultimately, it's all about the music, and that's where Gareth Emery really stands out. He's one of a kind: a true individual with his own unique sound that falls somewhere between house, progressive and trance, but always remains focussed on melody and groove. It's music for the heart, the soul, but ultimately, the dancefloor. He's accessible but not commercial; credible but not obscure, and that's why dance music fans the world over can't get enough of him right now. His 2008 plans include a series of his own events (broadcast on the Podcast, of course), two new mix compilations, and perhaps, just perhaps, that long awaited debut artist album. Whatever the case, one thing is for sure: those boring DJs need to be even more afraid than ever.